If you are anything like me, then you have a soft spot in your heart for some good quality chocolate. Now from living in Barcelona for two months thus far, I have come to realize that the supermarkets and grocery stores do not have the rich, delicious chocolate that I am looking for. I was going crazy until I found, Be Chocolat: by Michel Clement. 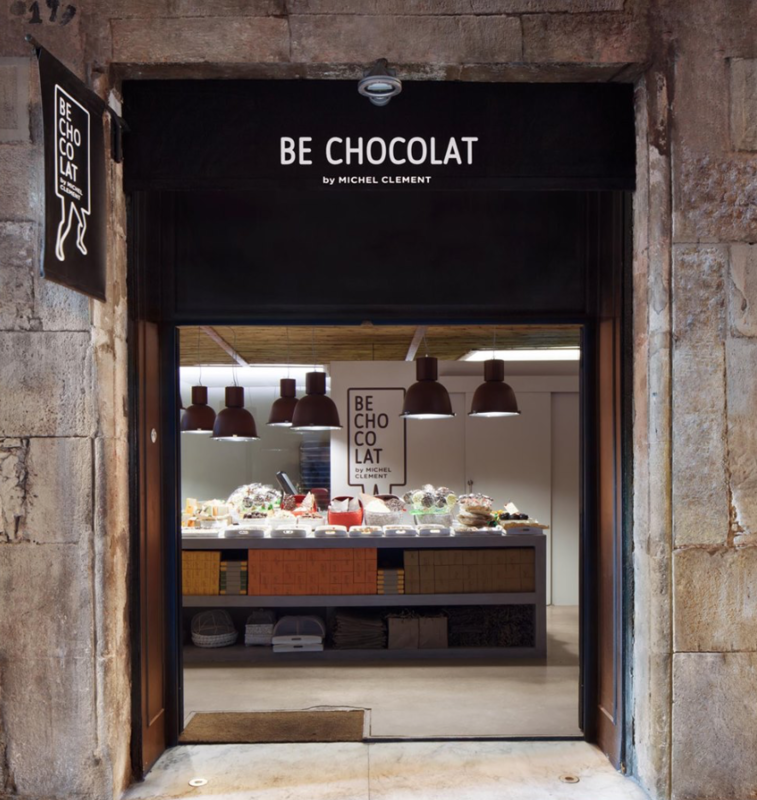 Be Chocolat is a small shop in the Gothic Quarter. When I first stepped in, the instant cocoa smell set my senses on fire and I knew I was hooked. The staff were more than happy to help me pick out different chocolates, and we shared stories back and forth my entire visit. Then came the part where I saw the recipes and how the chocolate was made. Side note: where I am from in Canada, there used to be a Hershey Chocolate production company a 20-minute drive from my home. Being here with the smell, triggered some nostalgia from when I was five years old, and I got to watch my favorite chocolate treats being made. Be Chocolat selects only the best cocoa to ensure that high-quality texture and taste, that will keep people coming back for more. I am addicted and will be coming back for more until I leave. They are open 9:30 am – 8:30 pm everyday for you to enjoy.